The Canadian Curling Association today announced a number of sites for future Canadian championships, not only for the 2010-2011 season, but for following seasons as well. The 2011 CIS/CCA University Curling Championships, presented by The Dominion of Canada General Insurance Company, will be conducted March 9-13 at the Bally Haly Golf & Curling Club and the RE/MAX Centre in St. John’s, NL. Hosted by Memorial University, the host committee co-chairs are Toby McDonald and Craig Withycombe. The winning men’s and women’s teams will then represent Canada at the Karuizawa International in Japan in January of 2012. 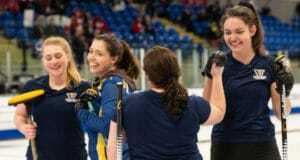 Last season, the CIS/CCA University Curling Championships were held in Edmonton and won by the University of Regina Cougars (skip Brooklyn Lemon) and Queen’s University Golden Gaels (skip Jon Beuk). They will now represent Canada at the Winter Universiade in Erzurum, Turkey, January 27 – February 6, 2011. 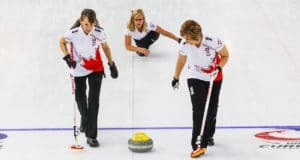 The 2011 TMX Canadian Wheelchair Curling Championship will be played at Jasper Place Curling Club in Edmonton, Alberta, March 20-27 and be chaired by Cathy Craig. Eleven teams will compete in the round robin, leading to a Page Playoff System. The 2010 championship was staged in Kelowna, British Columbia and won by the host province, skipped by Gary Cormack. The 2012 Canadian Mixed Curling Championship will be hosted by the Sudbury Curling Club in Sudbury, Ontario, November 12-19, 2011. The host committee chair is Tim Phillips. Twelve teams, representing the 10 provinces plus Northern Ontario and Yukon/Northwest Territories, compete in a round robin with three teams advancing to the playoffs in this 49th edition of The Mixed, which began in Toronto in 1964. 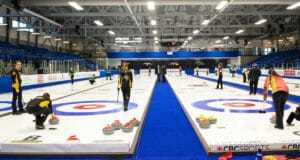 Previously, it was announced that the 2011 Canadian Mixed will be in Morris, Manitoba, November 13-20, 2010. The 2010 Mixed, held in Burlington, Ontario last November, was won by Nova Scotia’s Mark Dacey. Meanwhile, the 2011 World Financial Group Canadian Seniors are in Digby, Nova Scotia, March 19-26, with the winners representing Canada at the 2012 World Seniors. 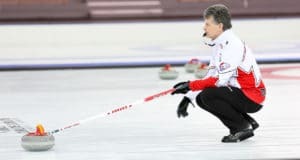 The 2010 World Financial Group Canadian Seniors, held in Ottawa last March, were won by skips Mark Johnson of Edmonton, Alberta and Christine Jurgenson of Victoria, British Columbia, who will now represent Canada at the 2011 World Seniors, April 15-24 in St. Paul, Minnesota. Finally, the 2013 Canadian Senior Men’s and Women’s Curling Championships will return to the Silver Fox Curling & Yacht Club in Summerside, Prince Edward Island, March 16-23. The host committee chair is Carl Delaney. This marks the third time that Summerside will host the Canadian Seniors, after staging the 2006 and 2009 renewals. The winners represent Canada at the 2014 World Seniors.